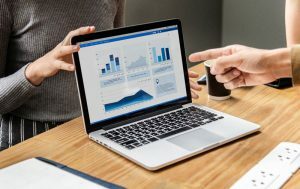 Spreadsheets can be handy tools, but if you’re managing your business (and particularly finances and accounting) from them, it’s easy to get lost in the numbers and formatting. It can also be challenging to send and receive invoices from clients and businesses. To solve this frustration, one of the tools Kindret Business Solutions uses to help clients with accounting is Xero accounting software. Xero helps businesses easily manage their money going in and out, and saves time managing invoices and accounts receivable. Kindret often uses Xero in conjunction with Receipt Bank to easily manage client expenses. If you missed out on our Receipt Bank article, you can read it by clicking the link. Xero makes it easy to manage incoming and outgoing transactions both at work and on the go. One of the main features of Xero is the dashboard. It makes it simple to manage your cash flow and see the financial side of your business at a glance. For example, you can see how much money you have in the bank, view upcoming bills and invoices to your business, and add specific financial metrics like revenue to a “watch list” so you can check them quickly. Xero is also an intuitive platform that can automatically categorize types of incoming transactions to make it simple to see what’s coming in and going out. In addition, you’re able to customize invoice email scheduling and set up invoice templates with your brand and a layout style that suits your business and needs. Customers can also pay you instantly with the mere press of a button directly from their invoices. Xero helps provide you with a hub for everything you’d ever need to know about the financial side of your business. That point alone is a selling point for many organizations. Being able to customize a financial dashboard also provides a huge amount of value for those who only have minutes to spare to check on their funds. Xero also integrates with other online transaction services like Paypal, providing a secure way for clients to purchase services and goods from you. Another big way Xero helps businesses succeed is their user limit cap, or really the lack thereof. The software lets you have unlimited users so accounting and finance employees in your organization can all stay informed of the latest billing info for your company. In addition, like many online platforms nowadays, it runs in the cloud so all your work is always available and accessible on any device. Customers can view invoices online as well, and once they’ve clicked the link, you can check to see that they’ve opened it. Just about any business works with Xero, and it provides some of the best tools to manage the financial side of any company. While we’ve touched upon a few of these tools, they can be a lot to manage for a business owner with little time on their hands. Kindret Business Solutions is well-versed in using Xero and can help contribute to your organization’s success by implementing and managing this useful tool.